MASVINGO RURAL – Some 543 children from Zimuto area in Masvingo Rural District are beneficiaries of an outreach programme conducted by the Ministry of Primary and Secondary Education two weeks ago. 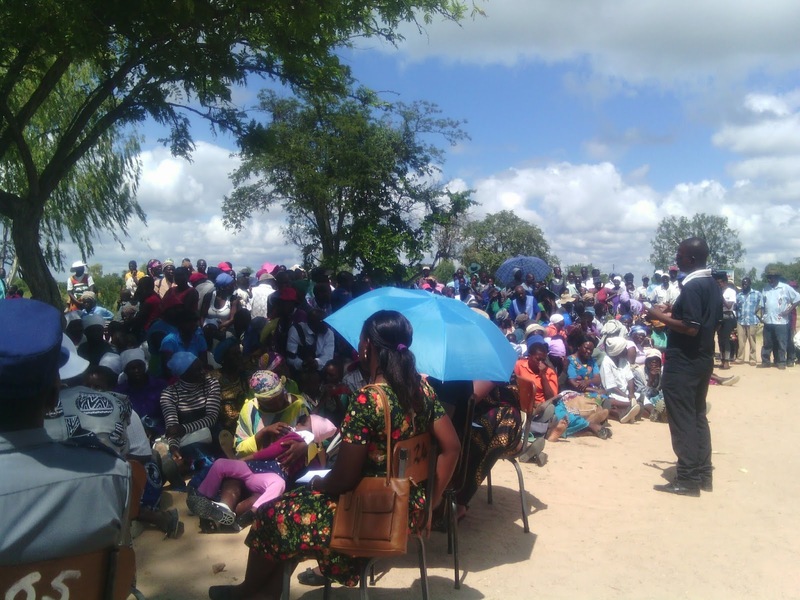 The programme headed by the District Schools Inspector (DSI) for Masvingo was to sensitise the community and remove barriers that hinder children from accessing education. These barriers include school fees, living with disabilities, lack of birth certificates, books school uniforms etc. The DSI Ismael Chigaba took with him stakeholders from different Government departments for the outreach so that these could explain and solve the problems on the spot if necessary. The departments that were there are Ministry of Health and Child Care, Ministry of Home Affairs and Cultural Heritage, Ministry of Public Service, Labour and Social Welfare as well as organizations like National Aids Council (NAC), Child Line and Higher Life Foundation. Villagers were however, not happy that the Registrar General’s department could not issue children with birth certificates during the outreach. They complained that there were hundreds of children in the area who did not have birth certificates and there were several reasons to this including that parents cannot afford transport to get the documents in Masvingo. Chigaba said birth certificates could not be issued on the spot because parents needed to bring several documents which they did not have on them. He said he was arranging for the Registrar General’s department to go back on an arranged day and issue the document to pupils. Masvingo District Registrar, Lawrence Mapara said they are going to facilitate birth certificates in the area when they get permission from the Registrar General. “Each department wrote down the names of children who needed help. Those who could be helped on the spot were given help for example pupils who were out of school because they are disabled were allocated schools that they would go to. The theme of the outreach was embracing learner diversity in schools. A Zimuto resident, Angeline Maphosa (64) who is a guardian of two grandchildren aged 16 and 19 who are still in school, said she was disappointed by how the Government neglects them. “I was happy that finally my 16 year old grandson is going to get a birth certificate so that he writes his O’ levels. We however, thought that Home Affairs would issue the document today but they didn’t. They however have taken down my grandchildren’s names,” said Maphosa.